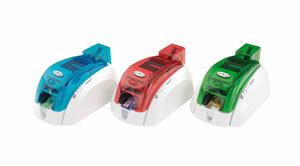 Plastic card printers by Evolis | Pebble ID Card Printer. Pebble was one of the fastest printers in the market, and this next generation printer matches top-of-the-range performances with higher image resolution. The Pebble card printers proudly carry the stamp of Evolis’ strong commitment to reliability, and therefore, benefits from unmatched quality along with a 3-year warranty. Worlds number one supplier of desktop ID card printers, Evolis Card Printers have been acknowledged as pioneers in desktop card issuance. Supplying Banking, Security, Education and many other card related industries. Pebble, was available in classic (USB only) and Expert (with Ethernet) editions. 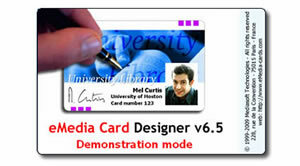 Card Design Software, Zenius ID card printers ship with XXS Lite version of Cardpresso Card Design Software. 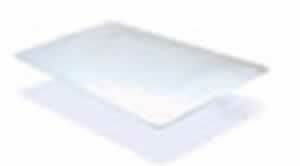 100 Blank white cards, included in the starter pack. 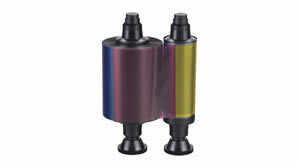 200 print colour ribbon, Cartridge included with printer will print YMCKO.